Home Mark Girouard. THE ENGLISH TOWN: A History of Urban Life. THE ENGLISH TOWN: A History of Urban Life. 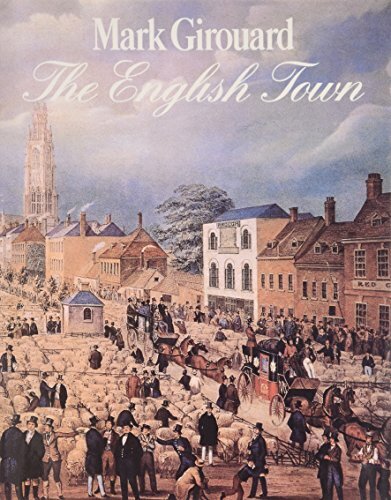 Title: THE ENGLISH TOWN: A History of Urban Life. A feast for Anglophiles, this gorgeously illustrated tour of England's towns makes a splendid contribution to social and architectural history. Girouard ( Life in the English Country House ) explains how the multitudinous small, separate plots of the medieval town still condition the variegated plan and appearance of towns throughout the country. Innumerable streets, quays and marketplaces follow medieval models. Georgian towns introduced a new vastness of scale, with public walks and planted squares, assembly halls, mills and docks. Even as Enlightenment-influenced planners made towns more geometric, parks and open spaces interpenetrated with buildings. Decked out with paintings, drawings and photographs, this panorama reveals what is distinctively English about the towns explored. History Book Club and Readers' Subscription Book Club alternates. <br />Copyright 1990 Reed Business Information, Inc.